This is the 4 quart version of our heavy weight sculpted bowls. These only come in opaque colors. They are completely dish washer safe, unbreakable and microwavable. 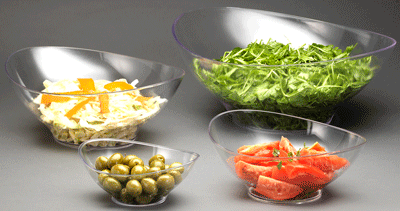 These are recommended for commercial food service use. Available colors are black, white, yellow and orange.